Thanks to my friend, Rosa d’Agostino, whose knowledge of wines is the result of her acquiring three levels of Sommelier training and certification , I was able to attend a winetasting within the 2011 ViniMilo events. The setting was the mountain town of Milo and the winetasting took place in a large conference room. Two local wine experts were leading the winetasting, Mr. Camillo Privitera and Mr. Orazio di Maria. It was very interesting to learn about the Sicilian wines, specifically the Mt. 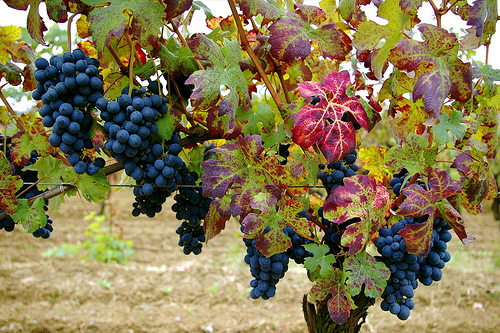 Etna wines, Etna Rosso. 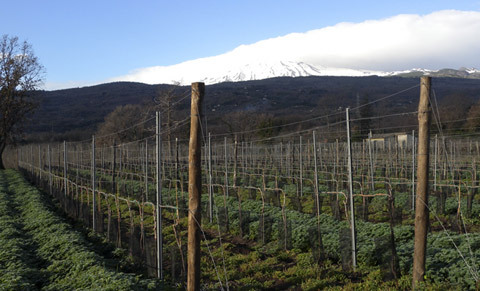 Etna Rosso DOC is a wine which contains 80% Nerello Mascalese, which is a grape grown in this area. In the past, Sicilian wines were used for blending as their alcohol content was approximately 13%. As the wine experts explained, there has been no culture of wine aging in this region. However, they stated that a territory is characterized by making quality wine over time. Therefore, a new practice is taking place and it is to try and age the wines of this region. At this event, there were a couple of wines which had aged 11-16 years and these are quite rare and hard to find. To support their view of the importance of aging wines, they mentioned the Brunello wine, which reaches its best stage when it is 10-15 years old. Consequently, the wine experts emphasized the importance of starting to have wines which have been aged. 1. Outis 2000 by Biondi , which had an orangelike color, flowery composition and a delicate bouquet. 2. Orpheus 2000 by Scirio – ageed in aok barrels for 10-12 months. 3. ValCerosa by Bonaccorsi both from the years 1999 and 2000; I preferred the 1999. 4. Rovvittello by Benanti, 1996. It had a flavor of aromatic herbs and was my favorite! 5. Sciara, a full bodied wine. Finally, we tasted a Cabernet/Sauvignon by the Tenuta San Michele which was the first local winemaker to produce Cabernet/Sauvignon. I actually visited this vineyard last summer and its view of the eastern coast of Sicily is breathtaking. After the winetasting, I spoke to Mr. Camillo Privitera, President of the Sicilian branch of the Italian Sommeliers Association and learned that, this fall, the Sicilian association will have a booth at Eataly in New York, for one month. I plan to inquire exactly when they will be in NY city and will post the dates on a future blog. After the winetasting, we went to a restaurant in Riposto, on the sea, and enjoyed a seafood dinner. Life is certainly tough over here!!!! !